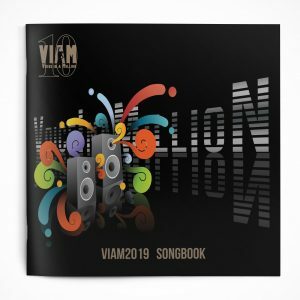 Customer matched zone "UK Flat Rate"
View basket “VIAM2019 Songbook” has been added to your basket. Place a message to your child in the event programme. Select your event, Enter your message below, checkout and leave the rest to us. Our new VIAM Varsity Jacket, in Vivid Purple with White Sleeves.or Black with White Sleeves. VIAM Logo on Front and back. Available in all sizes for Child and adults. These glow in the dark sticks look fantastic when there are thousands of them around the arena. We have particular songs throughout the event, where they create part of the atmosphere and are a favourite addition among the choir members. VIAM Kids Rock T Shirt. In Black with orange / grey print. The people of Instagram have decided that ‘cap’ is just not an appropriate word for a new fashion trend, so have rechristened these hats dad hats. A ‘Dad Hat’ with it’s curved peak different to the ‘Snapback ‘ with a flat peak. Distinguished by a cotton or canvas material with an overly curved brim, dad hats are naturally worn forward and look cool paired with anything. The VIAM T shirt with large logo on front. VIAM Varsity Zoodie. In Vivid Purple and Yellow, with the VIAM logo on the front and rear. Available in all child and adult sizes. Can be worn at all VIAM Rehearsals and Events. VIAM 2018 Choir T Shirt in white with gold print. HD Digital download of the concerts. These are sent prior to the event either to your school or home. and VIAM2019 Video Card, to download the video of the concert.